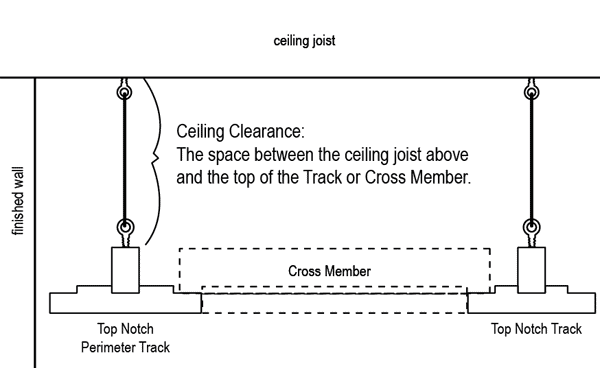 * Clearance refers to the amount of space between the Top Notch Ceiling track and the ceiling joists above. It is critical that this minimum space is maintained, or your coffered panels will not fit properly. We also offer a flat panel for those situations when ‘clearance’ is an issue. The first step in the process is to provide us with a drawing of your ceiling. We are not looking for a Picasso, just a simple line drawing with exact measurements. The key to an accurate quote and a perfect job are accurate measurements. It is also essential that you indicate the direction your ceiling joists run for your room, as the Top Notch tracks will need to run perpendicular to the joists above. Once you have your drawing complete, fax it or email it to us. 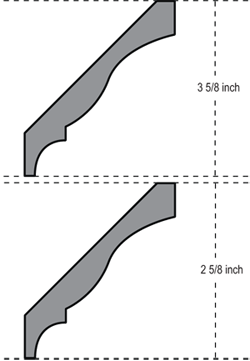 One of our ceiling planners will review your drawing and call you to discuss the particulars. We will then send back a detailed plan showing the room layout and how the Top Notch Ceiling will fit in place. All you need to do now is sign off on the layout and place your order. Once payment has been received, your custom built ceiling will be built to order. Typical turn time from order placement to ship date is 4 to 6 weeks. So please plan accordingly. Rush orders can be accommodated, but extra charges will be incurred. Call us at 610-217-3798. We use a common carrier to ship most of our ceilings. If one does not travel to your part of the world, UPS or FedX are available options. Your ceiling planner will calculate your shipping fees, so you will be aware of your shipping costs before the order is processed.